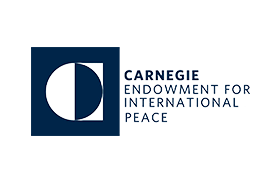 Founded in 1910, the Carnegie Endowment for International Peace, a non-profit organization dedicated to advancing cooperation between nations, is the oldest international affairs think tank in the United States. So it is no surprise that the goal of their Centennial Celebration would be to produce an event that would bring together high-level thinkers to share their thoughts and perspectives on how various countries could contribute to a world of peace. With an audience that included ambassadors, heads of state, diplomats, embassy professionals, U.S. administration officials, Congressional representatives, think tanks and academia, we were tasked to produce a series of debates between leading global thinkers, policy makers and the media on peace and power in the 21st century at the Willard Hotel’s Crystal Room. Highlighting such topics as the United States’ place in the world, the Arab Spring and U.S. strategy in the Middle East, these discussions generated awareness and explored what directions would be needed for the future.